Samuel Little drew sketches of 15 women and a man identified as "Mary Ann or Marianne." 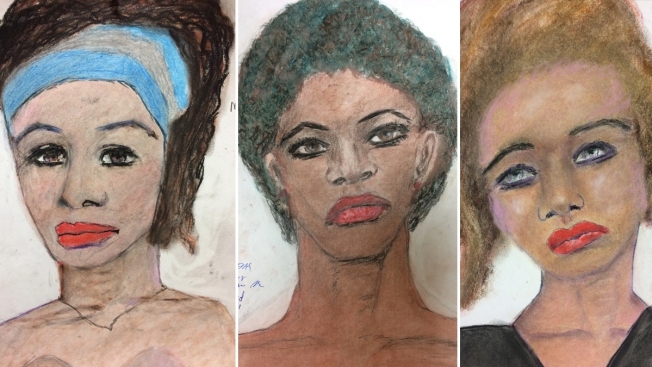 Drawings of possible victims by suspected serial killer Samuel Little, from left: A teenage black man killed in 1971 or 1972 in Miami; a black woman killed in 1976 or 1977 whose body was disposed near Wichita Falls, Texas; a white woman aged 23-25 killed in 1996 near Los Angeles. The FBI has released 16 drawings by a serial killer that purport to show some of his 90 victims from around the country, NBC News reported. Samuel Little has always maintained he was innocent of killing three women in California in the late 1980s, for which he was convicted in 2014, but the FBI said he confessed to killing 90 women over decades. As FBI investigators try to corroborate those admissions with unsolved deaths across the country, Little drew sketches of 15 women and a man identified as "Mary Ann or Marianne." Investigators were able to confirm 34 killings soon after Little's confession in November. The FBI said Tuesday that eight more were confirmed or matched to open cases as the bureau aims "to identify his victims and provide closure and justice in unsolved cases."